Sharing Christmas memories is FUN! This can help bring your own memories of Christmases Past back into focus... even after many years. You might find a new idea for Christmas or simply enjoy others memories -- simply spend a few hours to get into the Christmas Spirit! Let's share Christmas Memories -- the greatest holiday of them all!! (1) $5 Quick Download to Enjoy! (2) Write your own Christmas Memory (approximately one normal page of text) on the form at the bottom of this page. Be sure to include your email address and I will send you a free copy of this book as my Thank You! I might publish it in the next version of this ebook -- hasn't been updated since 2015! Christmas Stories previously published in my newsletter, Inky Trail News, from readers who contributed... they are so heart-warming! 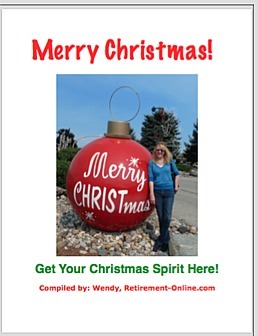 234 pages of Stories, 302 pages total include Christmas Survey Answers from Many! 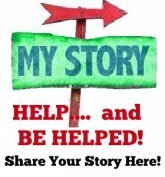 The stories are from all over the USA and the world. Many Memories and all worth smiling over! Just can't let them die... gotta share and keep them living in the hearts and minds of many! Wendy, on the book cover photo! That huge Christmas ornament decorates Bronner's, the World's Largest Christmas Store, in Frankenmuth, Michigan... cool, huh? Just sharing the Christmas Spirit and the Many Memories We All Hold in our Hearts! Take my Christmas Survey or Simply enjoy the answers of others below! Christmas Memories or Survey: Share the Christmas Spirit! If you have a Christmas Memory to share, write it below! Maybe one of the Survey questions will perk up a long lost memory for you to share! This is a Christmas Survey that was completed by many on my Christmas website (no longer published). I loved reading the different responses and hope you will too! Please consider adding your own Christmas answers below so that we can all share the many different ways we all love our Christmas Holidays! -- Real Christmas tree or artificial? -- When do you put up your Christmas tree? -- What is your favorite ornament on the tree? Describe it! -- Clear lights or colored lights on the tree? -- Angel on the tree top or a star? or something unique? -- How do you decorate outside the House? Details! -- When do you start shopping for Christmas? 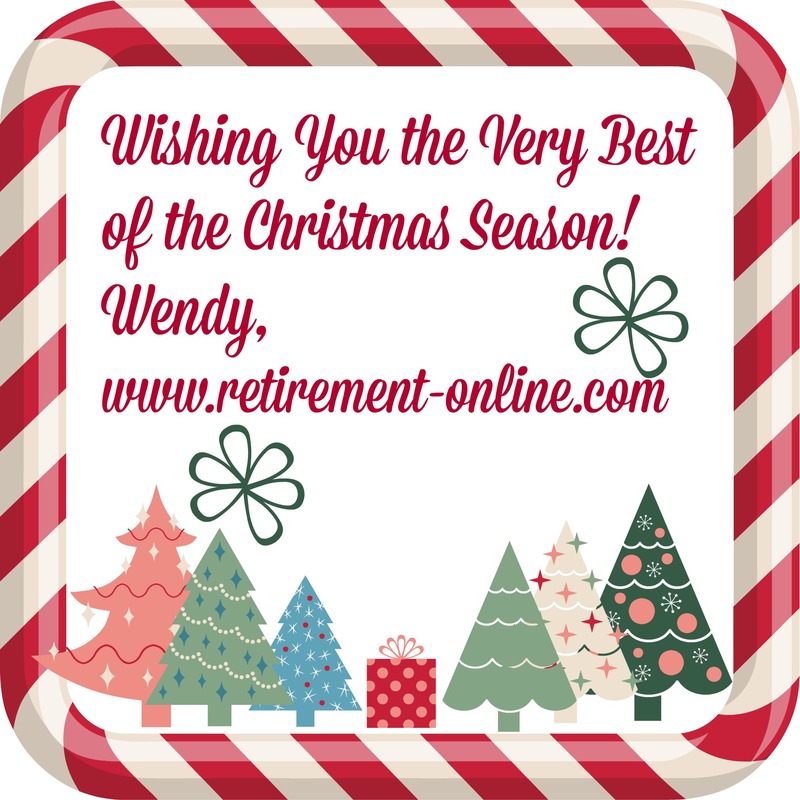 -- Do you buy lots of gifts or is your shopping limited (post retirement)? -- Do you open gifts on Christmas Eve or Christmas morning? -- Best, most creative, most thoughtful, gift ever received? -- Have you ever recycled a Christmas present? -- Do you use wrapping paper or gift bags? -- How many Christmas cards do you mail? -- Do you travel at Christmas or stay home? -- Do you go to church on Christmas or Christmas Eve? -- Favorite food(s) to eat at Christmas? -- Does your family have any traditions regarding the food? -- Do you like eggnog? -- Ever attended the Nutcracker ballet? -- Any family traditions you do each year? --Do you feel the JOY of Christmas or mostly STRESS? -- Do you do anything special to rid yourself of stress? -- Most annoying thing about this time of year? -- Do you have a special/funny memory of Santa Claus? -- Can you name all of Santa's reindeer? Grin! A GENEROUS HEART FOR CHRISTMAS!